The concept of supermarkets was launched at the beginning of the 20th century. It was the biggest revolution in the shopping sector as it enabled us to buy all kinds of vegetables, fruits, groceries, and others under one roof. Time has changed. Nowadays supermarkets are replaced by smartphone apps to some extent or at least in the case of electronics and fashion related items. With a single tap, you can order top class products from leading e-commerce portals with amazing offers and buyback guarantee. Unlike traditional shops, they are open 24 hours a day and accessible from anywhere on the road. In this post, we bring 6 best shopping apps for your smartphones. Amazon is our first choice to buy electronics, books, clothes, home appliances, and many others. It’s difficult to say which products are not available with Amazon. It’s the most trusted brand in the e-commerce sector since 1995 and generated $135.98 billion revenue last year. 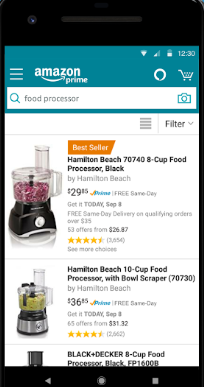 The mobile app lets you search products, read reviews, compare prices, check availability, order, and track right from your smartphone and tablet. It features millions of items in different categories like movies, groceries, fashion, fitness etc. It will connect you with 15 localized storefronts Amazon.ca, Amazon.co.uk, Amazon.com for a personalized shopping experience. e-Bay is a global online merchant that sells new and used products. You will get fashion accessories, clothes, electronics, furniture, vehicles from the sellers listed on the site. It also allows you to sell own used products to other users and make money from it. e-Bay is a great place to find best deals on your favorite products or buy them on auctions. Need to know the lowest price for a product? Scan barcode of store items to discover deals and auctions on e-Bay. Get incredible deals near you on everything you’re looking for. 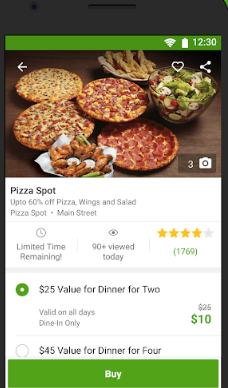 Groupon shows dozens of ways to find discounts and save your money on restaurants, spas, gyms, supermarkets in your locality. Browse discounts and coupons on nearby outlets before decide to spend. You can buy and redeem deals directly from the mobile device. Groupon is a perfect companion for you during traveling as it brings discounts on your food, entertainment, electronics, essentials and so on. Flip is another app to save your money. Search deals and discounts by item, brand, category to prepare your cart for weekly shopping. It brings you latest flyer deals from popular stores including Walmart, Target, Walgreens, Dollar General, Best buy and over 800 other retailers. 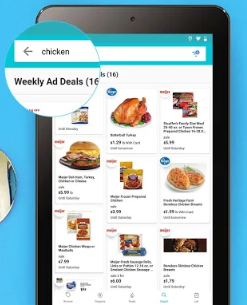 Flip is an excellent shopping planner to create, organize lists and discover deals on each of the products. It will remind you about expiring deals, new offers from nearby retailers to stay on the top of the deals. Shopping is an art that brings unforgettable experience and value to your money. 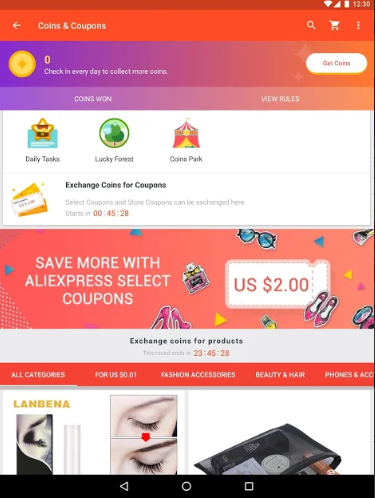 AlieExpress is one of the largest e-commerce chains with countless products. What you are going to shop is not a matter. From home to health, electronics to jewelry and fashion to sports- everything you will get here. The app provides awesome deals, coupons to deliver the products at the best cheap rate and supports over eight currencies for payment. Browse safe and healthier products. 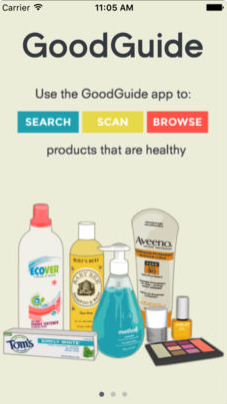 GoodGuide features thousands of food, personal care items with their scientific rating to easily detect top rated products on the market. It includes nutritional, health values of each product and informs you whether it contains any chemicals or ingredients with health concerns. 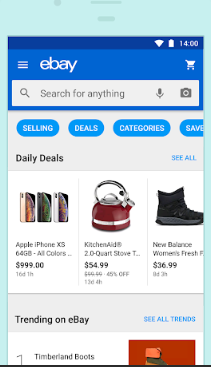 The app also suggests you best alternatives for daily purchases. With the barcode scanner, you can quickly scan a product to check its rating and health standards.